If you have an aftermarket tower, or don't have a boat that is on our pattern list, then this is the best option for a custom Bimini top you can get. We will require several measurements from you based on what type of tower your boat has. Once we receive the measurements we will fabricate a wakeboard tower Bimini top that attaches to your tower with clamps and folds up into a boot. It is advised that you call us first before ordering your custom Bimini top so that we can send you the measurement form. 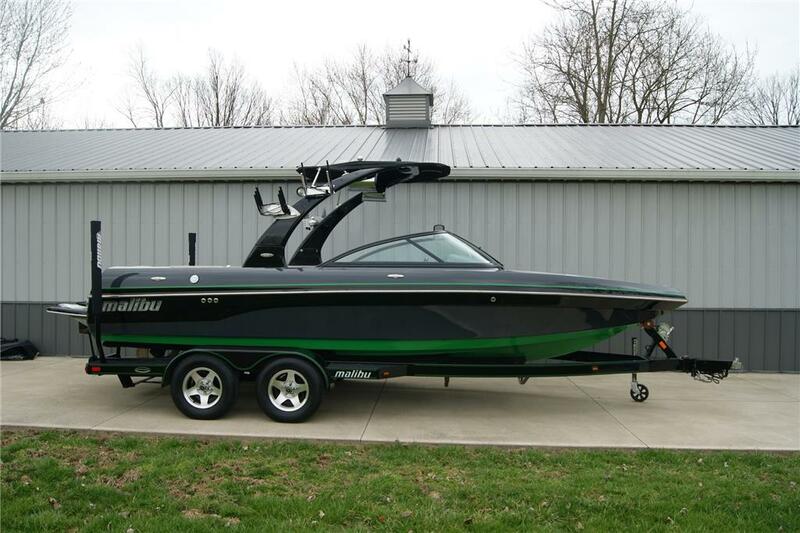 If you have any questions about this wakeboard tower Bimini, please call us at 309-371-0095. Ordered this bimini last year. Got it very quicly & it fit perfect! Customer service was great when ordering and with questions. The product has a great look. However, I've been disappointed with the bimini overall. It is designed to sit way too low in the boat making it uncomfortable to use due to limiting movement. The set screw design of the sliding plastic clamps has a very cheap feel to it, and I'm concerned about durability. Overall I'd rate it about 2. For $800 I had higher expectations. Great Bimini!!! We've had our for over two years and it still looks brand new. No drilling, no straps, easy to set up, and easy to put away. as you can see in the picture of my boat the bimini top is amazing. directions to install were easy to follow and this top is very nicely built.